I've often wondered how much of the wizarding world lives in distant fantasy, and how much was real. Not that I believe in magic (maybe), but I know there had to be people trying to turn lead to gold, humans are just like that. 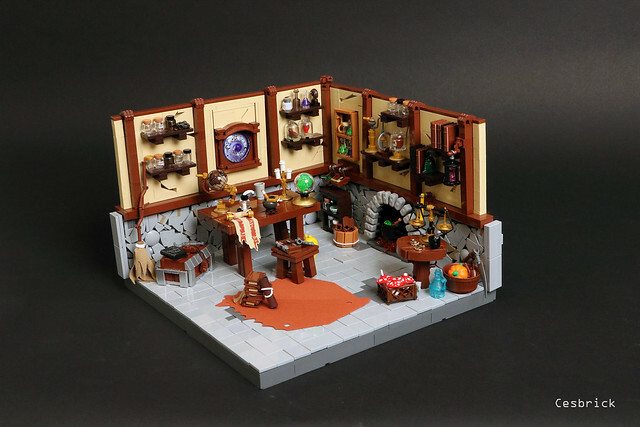 Enchantments may not have really done anything, but I like to believe they were attempted in places like this wonderful interior by Cesbrick. And if you don't believe in magic, please explain how those hammers are used for the fireplace.